Atlanta drivers, like most drivers throughout the United States, respond to road and environmental conditions when deciding how fast to go. Although speed limits serve as a guide (and are legally enforced), drivers will typically go slower than the posted limit during poor conditions and will exceed the speed limit and drive at a speed that feels safe when road conditions are more optimal. An Atlanta car accident lawyer knows that if a driver is operating his vehicle in an unsafe way and going too fast for the road he is on, those who are harmed as a result can pursue a claim for compensation. One of the factors that impacts how fast a driver will go is how wide the roads are. Road widths need to be designed with a variety of different safety criteria in mind, but some recent evidence from Streets Blog suggests roads are being designed to be too wide based on faulty and outdated research. These wide streets lead to excess speeds that increase collision risk and put all motorists, especially pedestrians, in danger. Streets blog reported on a recent studying showing the appropriate width of a two-lane street is between 10 and 10.5 feet. Accidents are more likely to occur, and more likely to be serious, once a road becomes much wider. When comparing Toronto with Tokyo, roads in Tokyo are much narrower than those in Toronto. On Toronto's wider roads, average speed at the time of impact in a motor vehicle crash is 34 percent higher. Drivers change their behavior on wide roads and go faster because they feel they can see better and have more room to maneuver. Despite the fact that wider roads are riskier, many roads in the United States are 12 feet wide. The reason wider roads are common is because of the adoption of Forgiving Highways policies in the 1960's. Project for Public Spaces explains the background behind Forgiving Highways policies, which were adopted as a safety measure to try to bring collision risks down. The theory is a wider highway is more "forgivingof inevitable mistakes and human errors people make while driving. When a highway is wider and more forgiving, there is more space for a motorist to come to a complete stop if he goes off the road and there is more area for the driver to be if he veers off the road path. The result is supposed to be a reduction in collisions, but evidence does not support this since people drive differently on the wider roads. With new questions being raised about whether Forgiving Highways is best, municipalities need to carefully consider whether to continue embracing wider roads. Regardless of what road design decisions are made, drivers need to ensure they are not letting misconceptions about their feelings of safety impact their driving. Even if a motorist thinks he can go faster on a given stretch of road, he should still obey the speed limit. Not only will following the rules help to avoid accidents and a ticket, but it can also be a form of protection from liability. A driver who is speeding may be presumed to have caused a collision and may thus be held accountable for causing a crash by violating a speed limit safety rule. 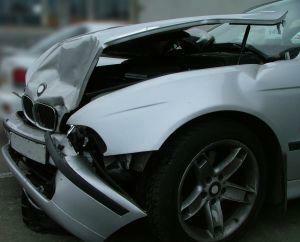 The Atlanta car accident lawyers at Van Sant Law, LLC can represent you after an injury caused by a speeding driver. Call today at 404-991-5950 or contact us online to schedule your free consultation.